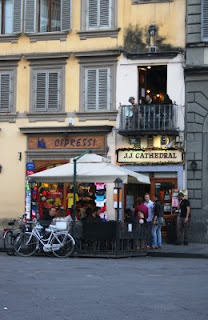 I love this image swiftly snapped while walking across the Piazza del Duomo, especially the group enjoying the balcony! A few weeks ago I started creating a mixed media piece inspired by this photograph using four small (roughly 7x5") canvases and treating each in a different way. The upper left is still blank, the upper right and lower left so far has a black and white version of the image collaged on and acrylic paint applied and the lower right has been painted in acrylics. It is a sample piece, all part of continuing to develop my painting techniques and I'm really enjoying it! It is on hold at the moment while I work on my jewellery for our first fair at the end of the month, which deserves a quick plug . . . 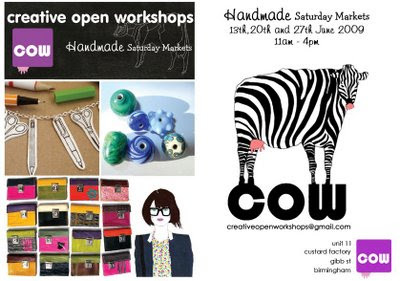 Starting tomorrow Creative Open Workshops based in the Custard Factory in Birmingham will be hosting handmade fairs every Saturday in June, we'll be there on Saturday 27th June and hope to see you there! If you are handy to Birmingham and haven't visited the Custard Factory before you really should, it's fab! On Saturdays there is also the Vintage Flea Markets and with the Handmade Fairs for this month you simply must go! Ahhhh Florence! How fabulous to get married there! Have you any photos? Will have to go snoop on your blog! It is such a beautiful city and has completely seduced us! I have sooo many photos, but none posted anywhere :( You're definitely making me want to though! Do it, do it! Post some! !